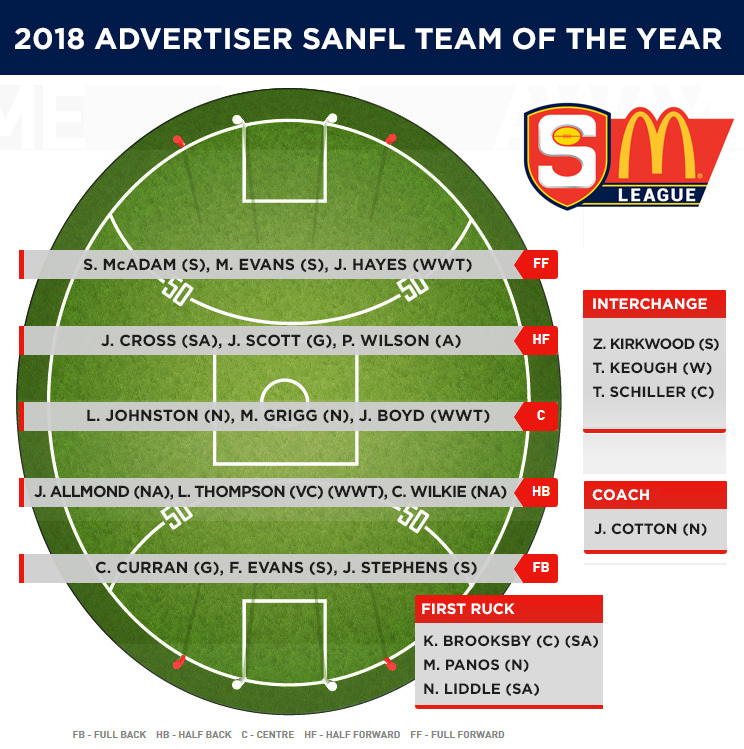 2018 Advertiser SANFL Team of the Year announced with Sturt having the most representatives with five players named being Shane McAdam, Mark Evans, Fraser Evans, Jack Stephens and Zane Kirkwood. Players were selected on their form across the entire minor round and were selected by SANFL’s Adam Kelly, Tom Hurley and Zac Milbank, Channel 7’s Mark Soderstrom and The Advertiser’s Chief SANFL Writer, Warren Partland. Read the full SANFL article here.